There is life inside of Bridal Cave, but much of it is rarely seen. When you walk through one of mid-Missouri's most scenic cave tours, you are only viewing a small portion of the vast cave that lies beyond. 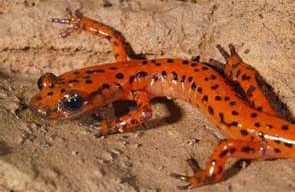 Biospeliology is the study of organisms that live in caves. These scientist have provided us with lots of information about the living organisms that live both in and around caves in Missouri. We care deeply about nature here at Bridal Cave and Thunder Mountain Park. Any opportunity that we have to take care of wildlife and the natural resources that make the Lake area so beautiful, we are all for it. 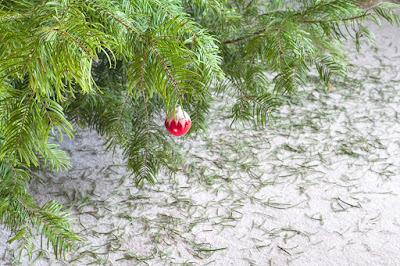 This holiday season you can join us in our efforts by recycling your Christmas tree after you take it down for the season. The best family attraction at the Lake of the Ozarks has the perfect thing for you to do with your tree after all of the decorations are packed away. Bring it to us and we will turn it into a fish habitat. Not only does this offer a happy home for the fish, but it's a great way to attract fish to specific spots in the lake to improve fishing. It's a wonderful way to make sure the tree is put to good use after the holidays, and it's also a great lesson for children about recycling and caring for wildlife. All kids love rocks, and the best of us are truly kids at heart. Recently, Bridal Cave's general manager, Steve Thompson, had the youthful joy of spending some time in warehouses full of rocks and minerals from around the world. 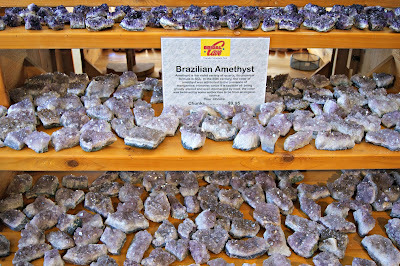 One of the best features of our Lake of the Ozarks gift shop is the wide variety of incredibly beautiful and interesting rocks, minerals, and gemstones that we have for sale. Steve traveled to Orlando, Florida to meet in person with the direct rock, gem, fossil, and mineral importers that Bridal Cave purchases our high-quality items from. Traveling to meet these direct importers lets us hand select every item that we offer you. Himalayan SaltAmethyst from BrazilHighly Banded Onyx from PakistanGeodes from Morocco. The holidays bring families together, but sometimes it's difficult to figure out what to do to keep everyone entertained. The Lake of the Ozarks is busy with activity during this season, offering up lots of wonderful ways to keep everyone happy and in the holiday spirit. 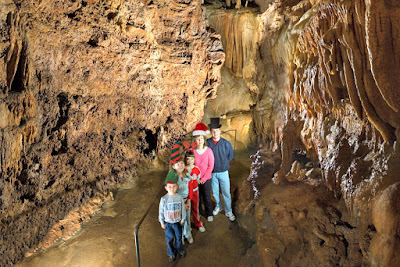 One excellent activity is to enjoy one of America's most scenic cave tours. (That's our favorite thing to do!) 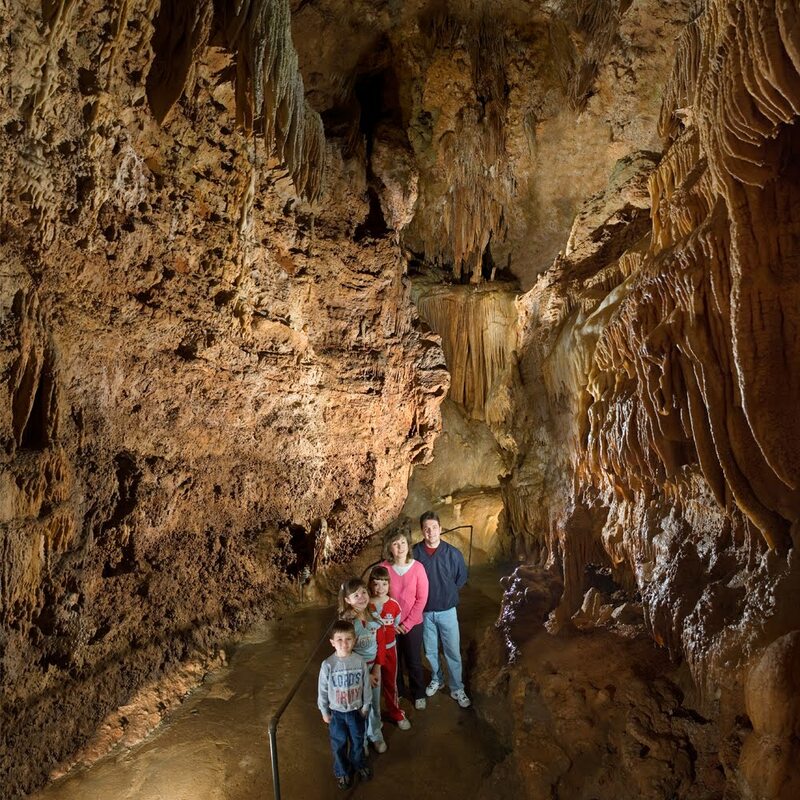 Here is Bridal Cave's list of a few of the many family-friendly things to do this month. Christmas is coming, and finding that perfect gift can sometimes be a challenge. 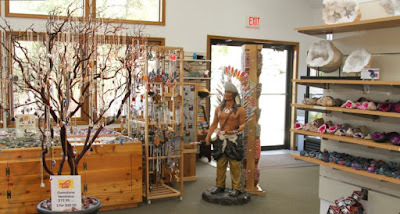 If you want to give the people on your list something unique and special, a visit to our Lake of the Ozarks gift shop should be your first stop. Bridal Cave has an incredible variety of gift ideas for you to choose from. In Bridal Cave's gift shop, you will find home decor, beautiful rocks and minerals, gemstones, jewelry, candy, and so much more. There are even some great books and educational materials for rock hounds of all ages. One cool gift from here just may ignite a love of caving in a child or an adventurous soul on your shopping list. Here are a few great choices to get you started. Get Married in Bridal Cave! Getting married is one of the most important things that you will do in your lifetime. Making the experience fun and unique will make it even more special. 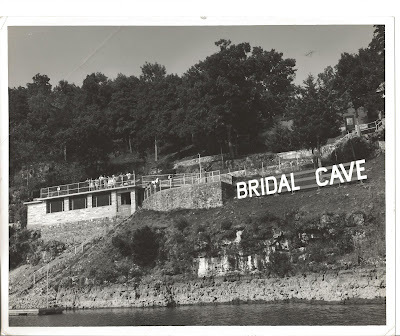 One of the most incredible places to get married at the Lake of the Ozarks at Bridal Cave. If you are planning a small wedding of under 100 people and you are a couple with a flair for adventure, then Bridal Cave may be the perfect wedding venue for you. It is an absolutely breathtaking backdrop for your nuptials with a lot of history. Over 3,000 couples from around the world have exchanged vows here with us. Bridal Cave is a perfect place to get married, no matter what time of year it is. Our stalactite adorned chapel inside of the cave is available year round and can fit up to 50 people. The temperature remains at a constant, comfortable 60 degrees, so you know exactly what to expect on your wedding day, no matter what the temperature is outside. Caves Are Fun, No Matter What the Weather! The days are getting colder outside and a lot of attractions around the Lake area have closed down for the season. Well, the best year-round attraction at the Lake of the Ozarks is still open, and we will stay open, no matter what the weather. It doesn't matter what's going on outside because Bridal Cave remains a pleasant 60 degrees all of the time. 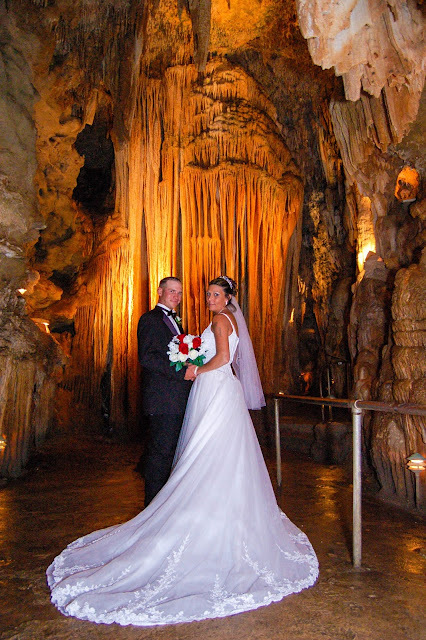 Bridal Cave has been in continuous, year-round operation since 1948. It can be freezing in the winter and blistery hot in the summer outdoors, but our cave temperature remains at a comfortable 60 degrees. 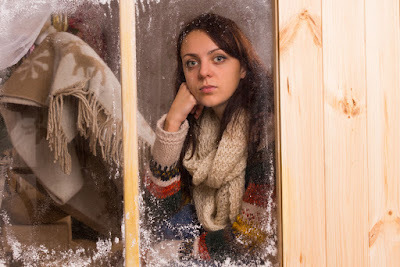 This phenomena has a name - the "Mean Temperature." If you add together the high temperature of each day for a year and average those, you will come up with 60 degrees. Cool, huh! This constant temperature allows us to host a reliable and fun attraction to visit any day. The most scenic cave tour in Missouri is surrounded by the natural beauty of Thunder Mountain Park. This incredible Lake of the Ozarks attraction covers hundreds of acres. It spreads over more than a mile of Lake of the Ozraks shoreline, a mile of highway frontage along Old Missouri Route 5, and all the acreage in between. That is a lot of nature to be explored! Thunder Mountain Park was established in 1950 in order to protect the caves within it. The amazing colors and incredible onyx formations inside of Bridal Cave are all formed by minerals from rain water that seeps into the ground. This is a process called deposition. Preserving the natural state of the park above the cave prevents any changes to the surface area, which could have a detrimental impact on the deposition process. Protecting the surface area protects the water quality, which in turn protects the cave. Bridal Cave has a very interesting past. 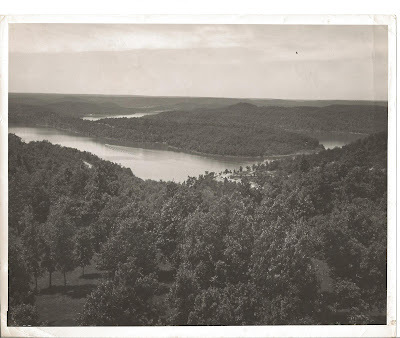 It's story goes back long before the Lake of the Ozarks was created. As early as 8,000 BC, Native Americans were using caves in the area for shelter, and more than likely Bridal Cave was one of those used. We will begin this tale with the first organized exploration over 150 years ago of what is now known as one the best attractions at the Lake of the Ozarks. The first organized exploration of portions of Bridal Cave is recorded. B.D. Dodson is credited with this feat. The next major exploration is done by S.W. Burke four years later. Over 5400 acres of land is purchased by Colonel R.G. Scott. That area is now known as Ha Ha Tonka State Park, and it includes Bridal Cave. Colonel Scott is very impressed and wants to know how it got the name Bridal Cave, so he begins researching the subject. He is credited for being the first person to publish the now famous legend of Bridal Chapel in his book, "Indian Romances."